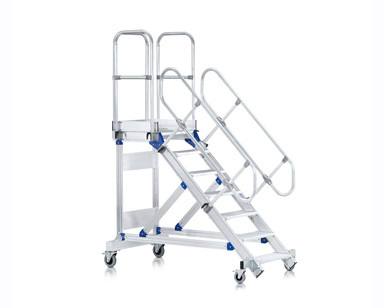 Compact and comfortable platform for quick and flexible use. Stiles made from high-strength extruded aluminium sections with screw channels for flexible assembly. 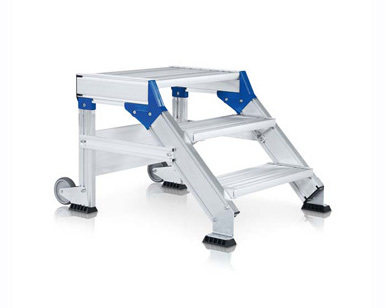 Platform length 400 mm – longer platforms available at an additional charge. Selection of tread widths, 600, 800 or 1000 mm. Serrated aluminium tread covering as standard.Steel open grid covering also available as an option at an additional charge. Please state when placing your order. Equipped with rollers on the support section as standard. Railing: Standard version without handrails and platform railing. 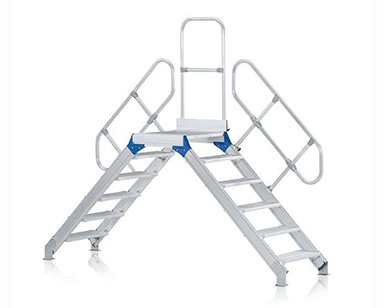 Optional handrails and platform railings can be removed individually and without the use of tools. 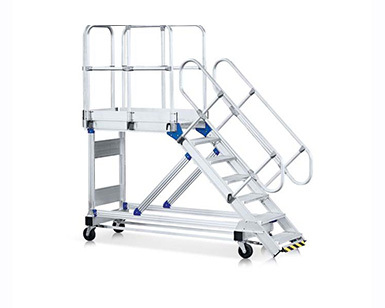 Optional accessories:Swing door and antstatic chassis available at an additional charge.